NASHVILLE, Tenn. – Nashville Predators President of Hockey Operations/General Manager David Poile announced today that the club has assigned forward Brian McGrattan to Milwaukee (AHL) on a two-week conditioning assignment. McGrattan remains on Nashville’s active roster during the conditioning stint. McGrattan, 31 (9/2/81), has appeared in two games for the Predators in 2012-13. A season ago, he was claimed on waivers from Anaheim on Oct. 11, 2011 and played 30 games, notched two assists and recording 61 penalty minutes. The Nashville Predators close out a four-game homestand this Saturday at 7 p.m. (SPSO: 1674 HD, 27 SD on Comcast; 102.5 FM The Game) with a McDonald’s Family 4Pack Night matchup against the Pacific Division-leading Anaheim Ducks. Limited tickets are still available in what is expected to be the team’s 20th consecutive sellout. 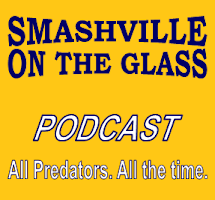 Secure your seats today at nashvillepredators.com, the Bridgestone Arena Box Office or by calling 615-770-7800. This Monday, the Nashville Predators and Bridgestone Arena are hosting a Presidents’ Day sale from 12-6 p.m. highlighted by game and concert discounts, savings at the Predators Pro Shop and much more. To take advantage of this opportunity, call 615-770-7800, go online to nashvillepredators.com/president or visit the Bridgestone Arena Box Office. Parking will be free in the Bridgestone Arena Sixth Avenue garage (at the corner of Sixth Ave. and Demonbreun St.) for all fans on Monday from 12-6 p.m.